Channel Lady in the 2013 running of the Grade 3 Edward P. Evans All Along at Colonial Downs. Photo by Coady Photography. The nonprofit statewide association that represents horse-related businesses throughout the Commonwealth is praising the recently signed legislation that will lead to the reopening of Colonial Downs in 2019. 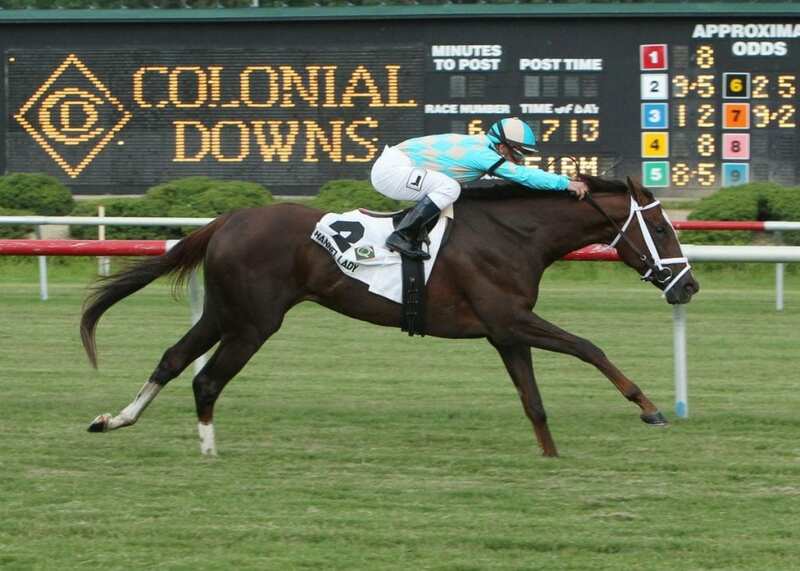 The Virginia Equine Alliance (VEA) says that the resurrection of the New Kent County track, closed since 2014, will lead to a revival of Virginia’s horse racing, breeding, training and other commercial and agricultural enterprises involving horses. The legislation cleared the way for the April 24 purchase of Colonial Downs by Chicago-based Revolutionary Racing. Economic impact studies have estimated that reopening the track will lead to as many as 500 jobs for New Kent County and the region, and by year three, generate as much as $25 million for state and local governments. Proceeds from the track also will fund an incentive program that will brings horse to Virginia to board and train.